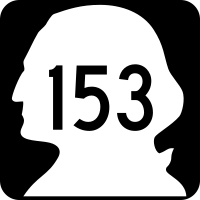 On Saturday, September 24, 2011, I drove the length of State Route 153 in north central Washington, up the Methow Valley. 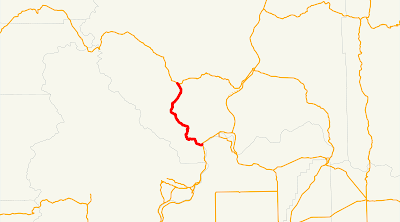 Beginning at a junction with state route number 97 in the vicinity of Pateros, thence northerly and westerly by the most feasible route to a junction with state route number 20 in the vicinity south of Twisp. 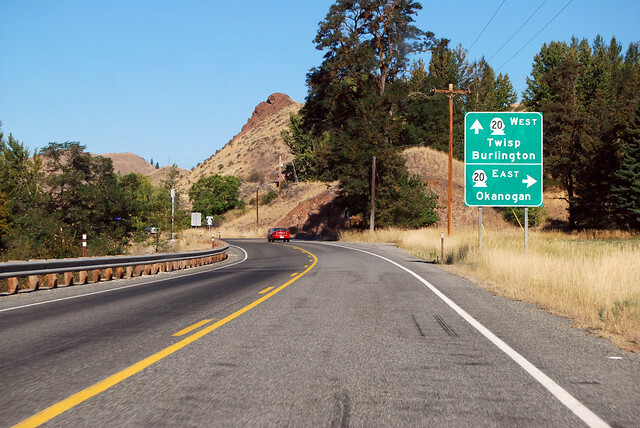 Just across the Methow River from Pateros and the delicious Sweet River Bakery, SR 153 leaves US 97 and the mighty Columbia River behind. 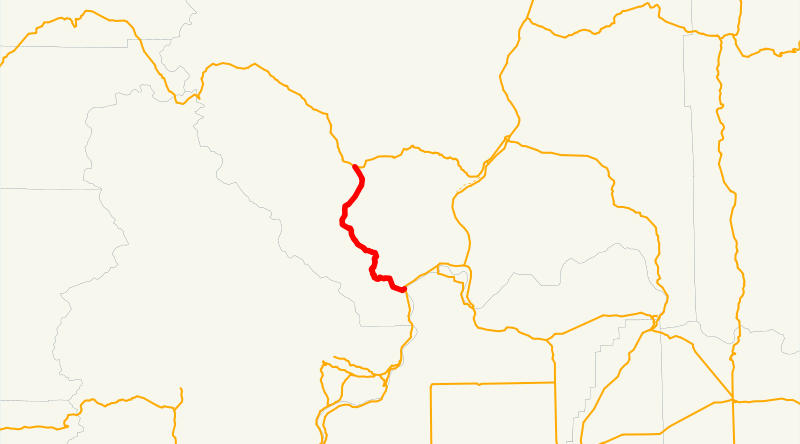 The first mile of the Methow River is part of Lake Pateros, backed up behind Wells Dam seven miles downstream on the Columbia. We then start uphill, following the winding canyon. 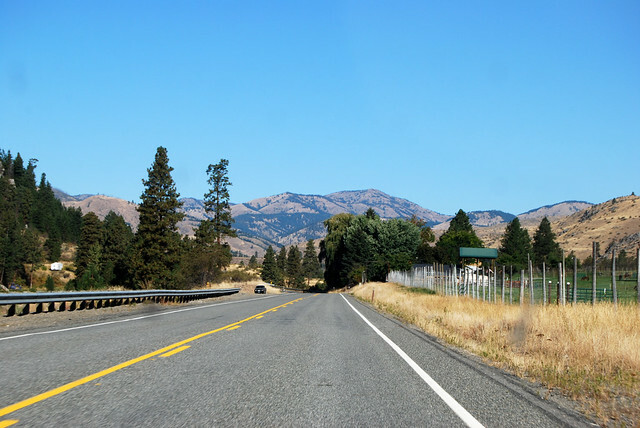 We cross the river a couple times, the valley opens up a bit, and we roll through the town of Methow. We cross the river a few more times and arrive here, at the halfway point of Highway 153. 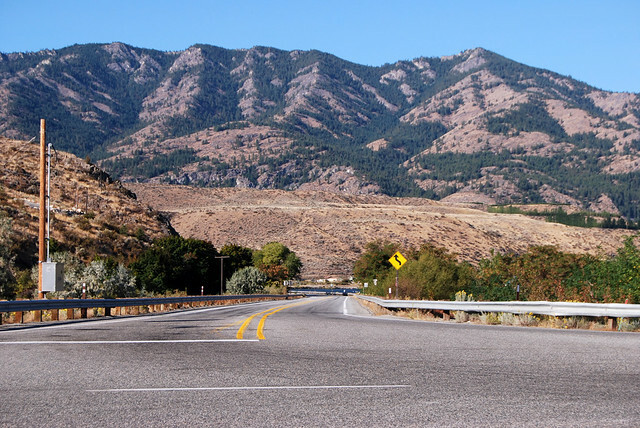 The highway continues up the Methow Valley, crossing the river several more times, passing through the hamlet of Carlton (post office, general store, restaurant, what more do you need? ), and heads north towards Twisp. A couple miles downstream from that town, SR 153 meets SR 20 and thus its northern terminus. A lovely valley of sunny farms. A lovely road of curves and bends.